The Doctor- custom The Doctor's cravat has been photoshopped red to match his appearance in The Trial of a Time Lord. It was originally shown in November 2003 and was posted as a 'TARDIS Tale', the part of the site reserved for spin-offs or short character stories filling in continuity gaps as this does. As such it never received a proper cover. 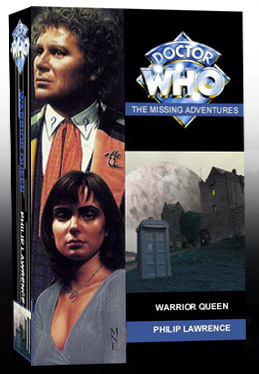 Eventually it was decided that the story was a sixth Doctor story in it's own right and deserved to be in the main section so it was moved. Would the Doctor really abandon his companions? The TV version of The Trial of a Time Lord would have us believe so but I think the Doctor is far less callous. 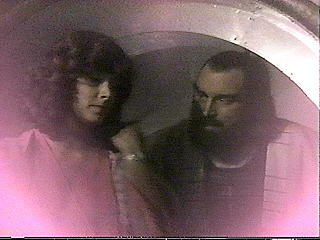 This then is my interpretation of the Doctor going back for Peri. The story was filmed around February 2003 in one session. 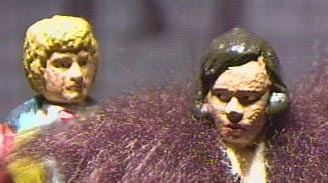 Peri was dressed in a specially made felt 'aztec' looking dress with a collar made from the same fur as my Yeti figures. 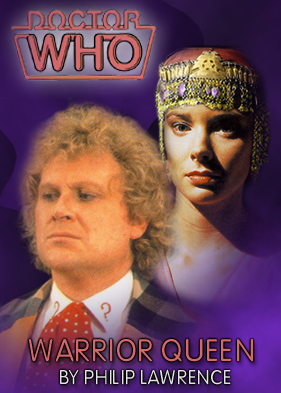 This story is set after The Trial of a Time Lord, during which the Doctor was forced to abandon Peri on Thoros Beta. Through the Inquisitor, the Doctor learns that Peri survived her ordeal (contrary to events shown during the adventure) and is living with Yrcanos, a character they encountered in the story. On screen, the Doctor seems content with that knowledge but I'd rather believe he at least made an attempt to go back for her. The Doctor references several other stories: "that trip to Blackpool" from the unmade Celestial Toymaker sequel, The Nightmare Fair, the Doctor trying to strangle Peri from The Twin Dilemma, the botanical gardens of Golep from the AFT adventure The Harvest of Death. When the Doctor mentions 'dropping something off in the future' he's referring to his future companion Mel who, in his personal time line, he has yet to meet. It all gets very confusing...!